On April 26, Three years ago Shraddha Kapoor and Aditya Roy Kapur became famous with 'Aashiqui 2'. Shraddha seems to be excited on completing three years, she took to Twitter and shared a motion picture which says, "#3YearsOfAashiqui2 got me feeling like." The movie 'Aashiqui 2' is a love story on the turbulent relationship between Rahul and Arohi, which is later affected by Rahul's issues with alcohol abuse. This movie was a blockbuster in 2013 and was directed by Mohit Suri. 'Aashiqui 2' also became a spiritual successor to the 1990 musical film ‘Aashiqui,’ it earned Rs.1.09 billion worldwide within the first four weeks. On career front, Shraddha and Aditya will soon be seen romancing each other on screen for Shaad Ali's 'Ok Jaanu'. This movie is a Hindi remake of South blockbuster 'Ok Kanmani'. Also Shraddha is busy promoting her upcoming movie ‘Baaghi’ with Tiger Shroff that will hit the screens on 29th April. Buzz in town is that, filmmaker Karan Johar has purchased the rights to remake the Hindi version of the recent Telugu blockbuster ‘Oopiri’. The film itself is a remake of the French film 'The Intouchables', which is about the warm camaraderie that develops between a wheelchair-bound billionaire and his male caregiver. If sources are to be believed then the beautiful actress Tamannah Bhatia, who starred in 'Oopri' might bag the lead role in the film's Bollywood version as well. As per sources, Karan was highly impressed by Tamannah’s performance in ‘Oopri’ and as the actress has performed immensely well in the Telegu version, the production house is considering to cast the gorgeous actress in the remake too. Incidentally, this is the second time Karan Johar has bought the rights of a movie which stars Tamannah Bhatia in lead. Earlier Karan Johar’s Dharma Production was one of the crucial supporters of 'Baahubali: The Beginning'. Well if that turns out to be true, it would be interesting to know who will be paired opposite Tamannah? 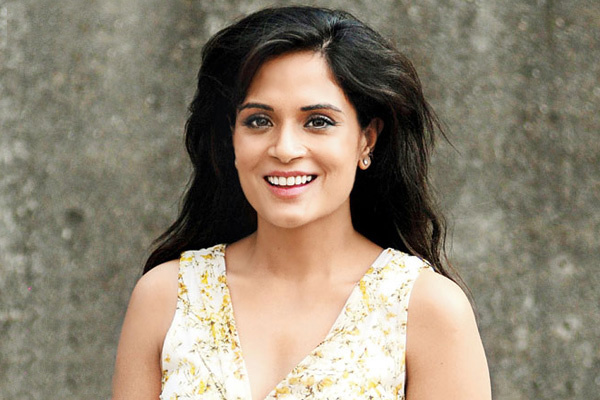 'Oopri' featured Tollywood super star Nagarjuna and Tamil star Kartik in lead. 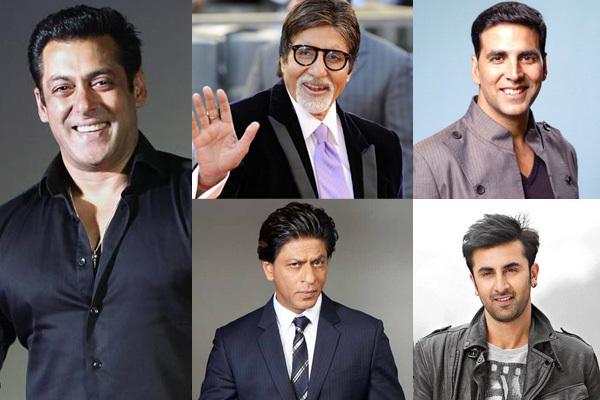 Bollywood celebrities once again have successfully entered the prestigious list of Forbes which scales the richest personalities from across the globe. And without doubt, the list of 2016 includes names of Salman Khan, Akshay Kumar, Amitabh Bachchan and Shah Rukh Khan among the World's Highest Paid Actors. However Ranbir Kapoor makes an impression here by being one of the youngest actors. 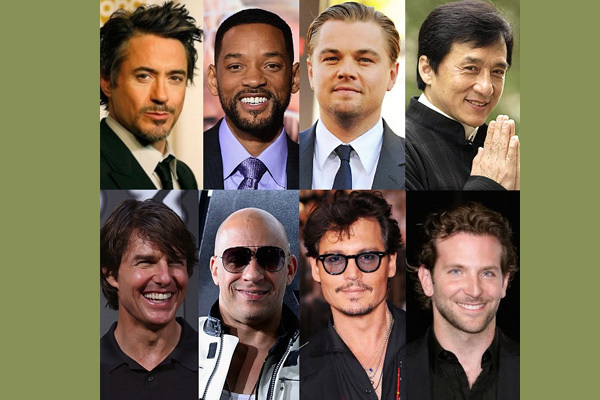 These stars share the platform with Hollywood celebrities including Tom Cruise, Brad Pitt, Leonardo DiCaprio, Will Smith, Vin Diesel, Hugh Jackman and Jackie Chan, among others. Robert Downey Jr. takes the top slot for earning $80 million. Interesting, Salman Khan has raced ahead of Shah Rukh Khan in this elite game - standing 7th in the Forbes list. SRK in fact comes after Akshay Kumar and Amitabh Bachchan. Salman Khan enjoys a status of owning $33.5 Million - churning success as an actor, producer, host and through his merchandise Being Human as well as commercials. With around 80 movies under him, the "Being Human" star is favourite "Bad Boy" of the industry. After making a great impact with 'Bajrangi Bhaijaan', audience are eagerly waiting for Salman's Eid treat 'Sultan' this year. Amitabh Bachchan also stands on 7th slot, earning nearly $33.5 Million - both through films and endorsements. The megastar, who is favourite among both young and old alike, is currently working on 'TE3N' and 'Pink'. His last film 'Piku' not only earned moolah at box office but also won several awards - including Best Actor and Best Actress. Akshay Kumar follows next with a bank balance of $32.5 Million and stands 9th in the Forbes list of World's Highest Paid Actors 2015. With films and as brand ambassador for several products, the actor-producer-host is popular with his action image and easily makes impact with commercial as well as serious films. The Khiladi will be soon seen on big screen with 'Housefull 3' followed by 'Rustom'. SRK takes the 18th spot, earning $26 Million. The King of Romance is a hot choice for endorsements and TV shows. The super star recently garnered good reviews through YRF's 'Fan' which features him in double role. His next in the pipeline is 'Raees' and a film with Alia Bhatt. Ranbir Kapoor is on 30th slot with $15 Million under him. The handsome heartthrob stands as a competition for other young actors of his generation; by entering the Richie Rich list of Forbes. Ranbir currently has 'Jagga Jasoos' and 'Ae Dil Hai Mushkil' on hand.